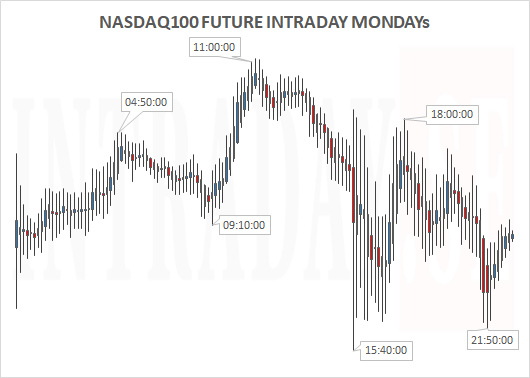 Nasdaq100 Future intraday for the last 5 Wednesdays. 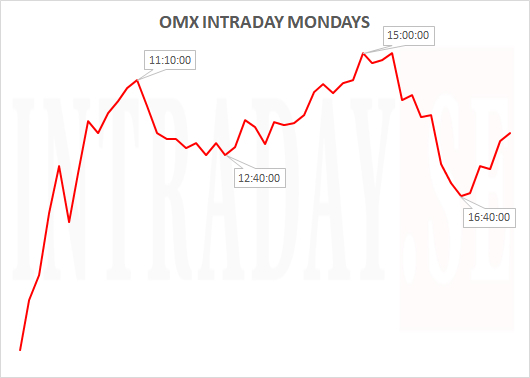 Maybe this chart can show you some directions for today? 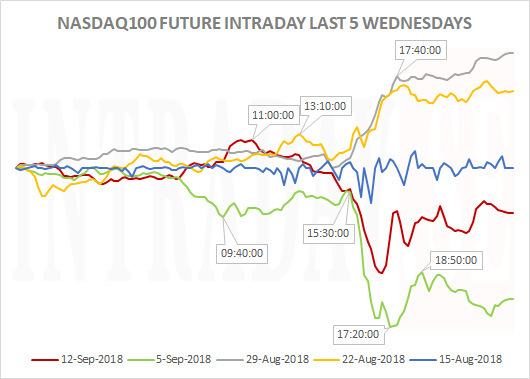 What we know is that there has been very little movement until the US open. 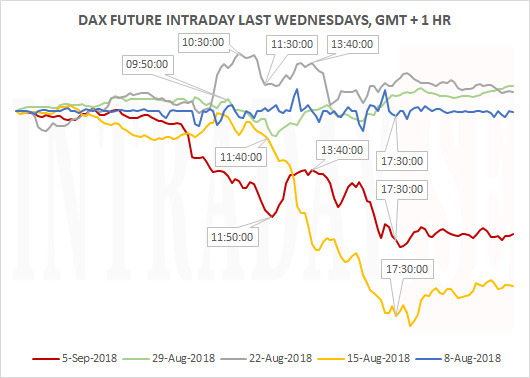 From there it trends stronger in the ongoing direction and basically quit around European closing time. 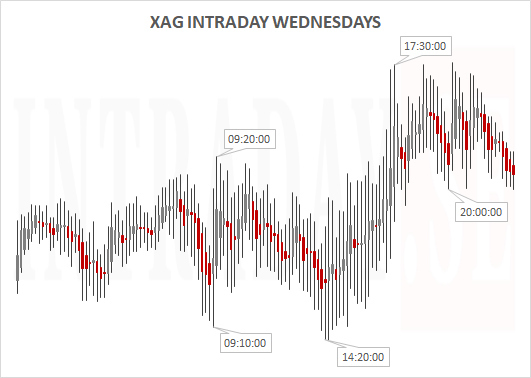 Chart displays GMT + 1 HR. 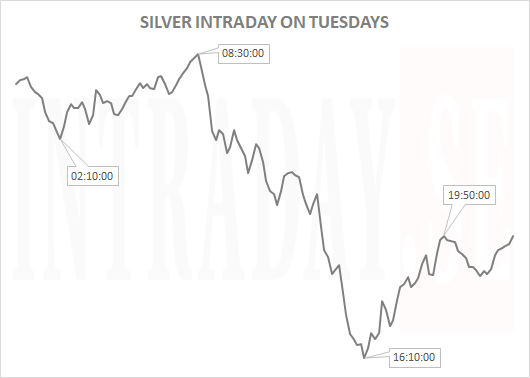 Silver intraday trading last 5 sessions where open to close is basically flat. 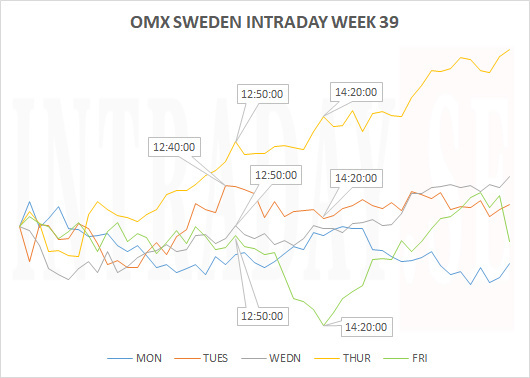 Major moves from 04:10 at night to 10:20, thereby selling into 16:20. 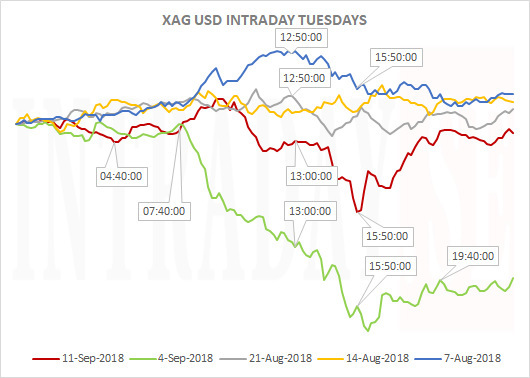 Times are GMT + 1hr. 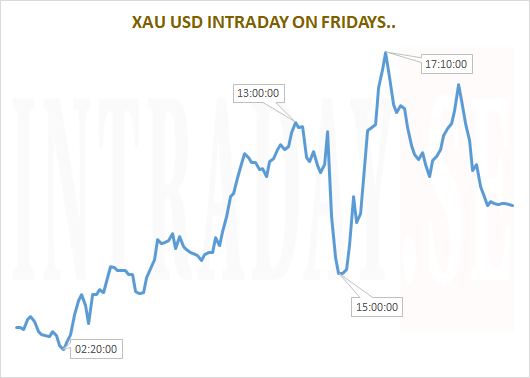 This is how Gold has been trading intraday the last 4 Fridays (ex. today..). 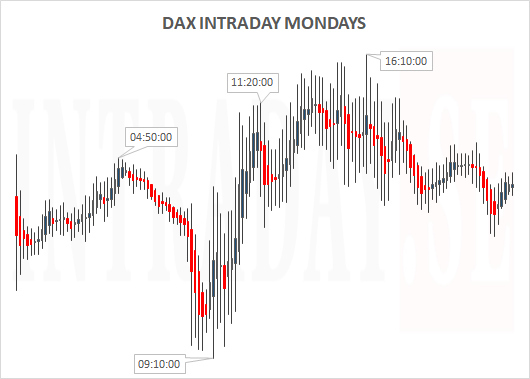 Tomorrow, we will see if it was a roadmap..
DAX TRADES THUR. 13. 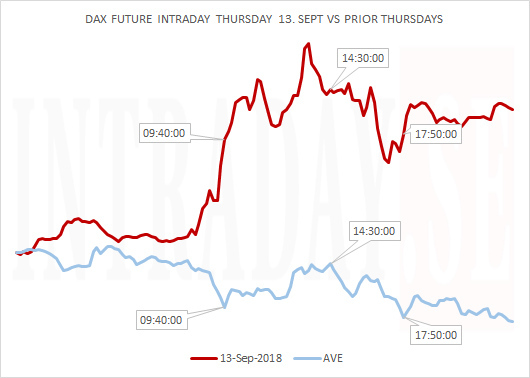 SEPT.
A long position at 09:40 to sell out the position to go short 14:30 would sum up to + 52 points with a stop loss of 10 points. 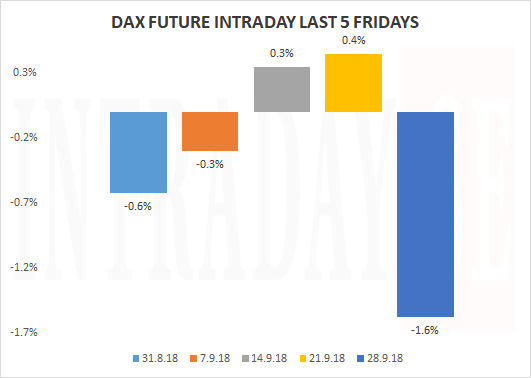 DAX TRADE WEDN 12. 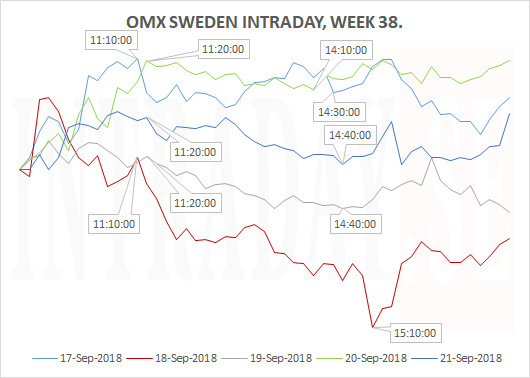 SEPT. 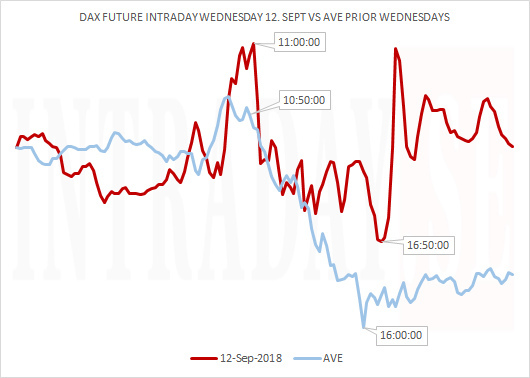 Displaying the DAX FUTURE behavior this Wednesday (yesterday) in red, indexed in comparison to prior Wednesdays developments. 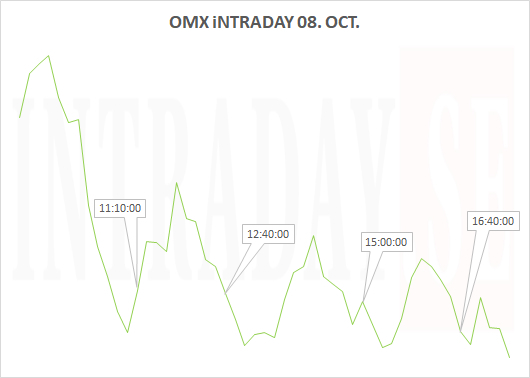 Looking back, if short yesterday around 10:50 to cover the position at 16:00 o'clock resulted in + 8 points where a stop loss of 10 points above entry would be ok. 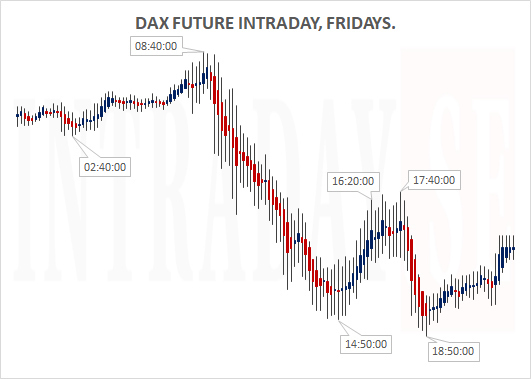 The Dax Future for the last 5 Wednesday's above. 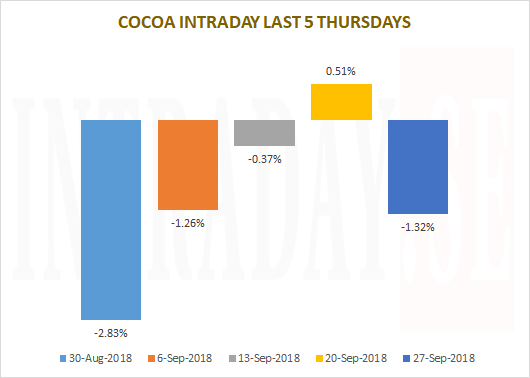 Below is the table of its Highs and Lows. 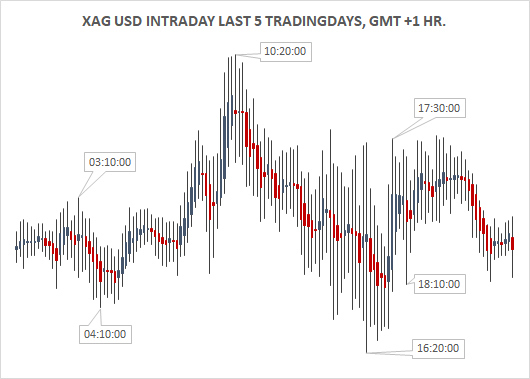 Gold price intraday over the last 5 sessions. 1.194 and 1.203 are low - and high levels for the averages. 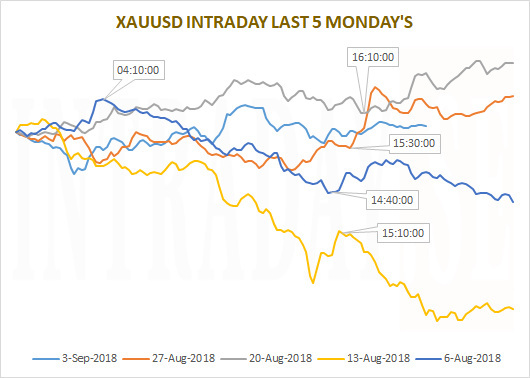 Gold price last 5 Monday's individually. 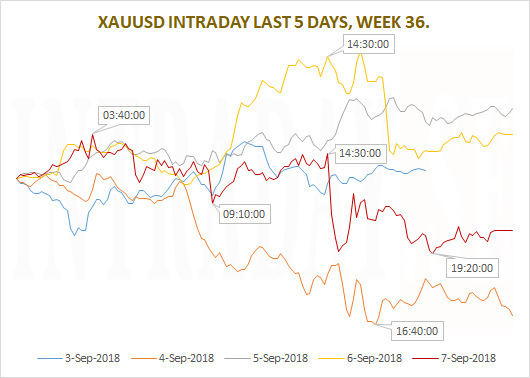 XAUUSD has been trending strongly on Mondays lately. Time windows are GMT + 1 HR. 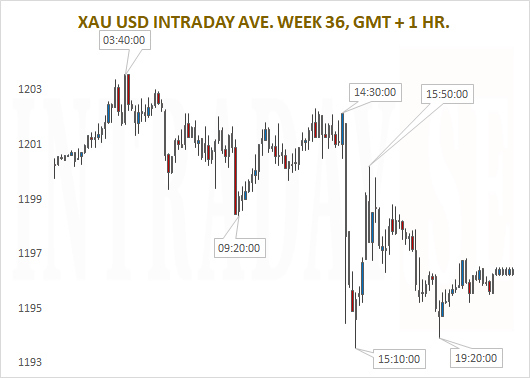 Gold intraday each day for week 36. 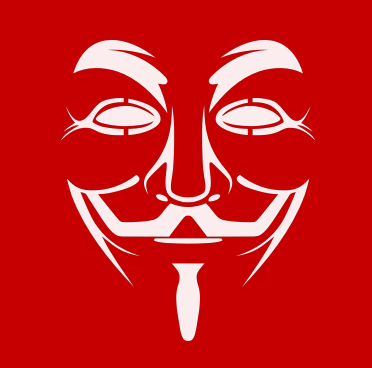 Monday the 3rd is shorter due to US Labour day.